Aug 1997 upto date - Senior Lecturer - Department of Civil Engineering, University of Moratuwa , Moratuwa , Sri Lanka. May 1996- Aug 1997 - Adjunct Professor- Department of Civil and Enviornmental Engineering, University of South Florida , Tampa , FL , USA. Aug 1993- May 1996 - Research Assistant- Department of Civil and Enviornmental Engineering, University of South Florida , Tampa , FL , USA. Oct 1990 - Oct 1992 - Lecturer - Geotechnical Engineering Division, Department of Civil Engineering, University of Moratuwa , Moratuwa , Sri Lanka. University of South Florida , Tampa , Florida , USA. Imperial College of Science, Technology and Medicine, University of London. University of Moratuwa , Moratuwa , Sri Lanka.  Charted Engineer & Member, Institution of Engineers, Sri Lanka .  Member, Sri Lanka Geotechnical Engineering Society.  UNESCO sponsored one week advanced course on “Behaviour of foundations under vibrations" conducted at the Department of Civil Engineering, University of Moratuwa . in the year 1990.  NASDA sponsored two week advanced course on “ Potential and Applications of Microwave Remote Sensing" conducted at the Asian Institute of Technology, Thailand in the year 2001.  NASDA and ADB sponsored advanced training program on “Open GIS for Spatial Information Sharing" conducted at the Asian Institute of Technology, Thailand in the year 2002.  UNESCO sponsored short course on “Simulation Models in Engineering and Technology" conducted at the Indian Institute of Technology, Chennai , India from 9 th to 20 th September 2003.  Distinction for M. Sc in Soil Mechanics from the Imperial College of Science , Technology and Medicine, University of London .  Commonwealth Academic Scholarship for postgraduate studies at Imperial College of Science, Technology and Medicine, University of London .  President's research award for year 2000, Sri Lanka . Senior Lecturer - Department of Civil Engineering, University of Moratuwa , Moratuwa , Sri Lanka. Supervision of PG and UG research projects in Geotechnical Engineerign. Adjunct Professor- Department of Civil and Enviornmental Engineering, University of South Florida , Tampa , FL , USA. Teaching PG courses: Design of Pile foundations and; Advance Geotechnical Testing. Research Assistant- Department of Civil and Enviornmental Engineering, University of South Florida , Tampa , FL , USA. Worked in a research project titled “Soft Soil Improvement by Dynamic Replacement"
Lecturer - Geotechnical Engineering Division, Department of Civil Engineering, University of Moratuwa , Moratuwa , Sri Lanka.  Faculty academic counselor, Faculty of Engineering, University of Moratuwa from year 2000 upto June 2005..
 Member, faculty academic committee, Faculty of Engineering, University of Moratuwa from year 2000 upto June 2004.  Member, Faculty sub-committee to set guidelines for academic transcript, Faculty of Engineering, University of Moratuwa year 2004. 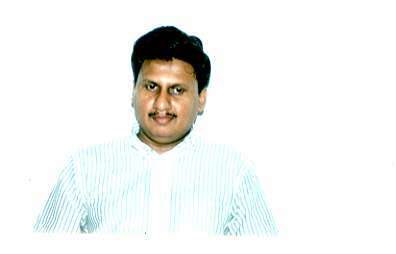  Editor of the newsletter, Sri Lanka Geotechnical Society, from year 2001- 2003.  Convener, Standing committee on undergraduate studies, Department of Civil Engineering, University of Moratuwa .  Coordinator, Computer and network facilities, Department of Civil Engineering, University of Moratuwa .  Lecturer In-charge, Soil Mechanics Laboratory, Department of Civil Engineering, University of Moratuwa .  Lecturer In-charge, Rock Mechanics Laboratory, Department of Civil Engineering, University of Moratuwa . Geotechnical consultant , Design of the Ground Reservoir for the Brandix Apparel Park , Visakhapatnum , India , December 2006 upto date. Evaluation of the Pile Dynamic Analysis (PDA) results for the Ceylinco Celestial Residencies project for Design Consortium Limited, April to May 2006. Report on the review of the proposed pile foundations for the buildings M and L at the Sidhartha Secondary School Balapitiya for the UNOPS, February 2006.
Review of the proposed ground improvement method for the Building N at the Sidhartha Secondary School Balapitiya for the UNOPS, March 2006. Recommendations for the ground improvement for the foundations for the building L at the Sidhartha Secondary School Balapitiya for the UNOPS, March 2006. Geotechnical Specialist , Strategic Environment Master Plan for the Hambantota District, November 2006 upto date. Geotechnical Engineer/Soil Specialist , Environmental Impact Assessment for a proper Solid Waste Management Project at Kaduwela, September to December 2006. Investigation of the Slope Stability for the Ground Reservoir at Kosgoda for Engineering and Laboratory Services (Pvt.) Ltd., January 2007. Capacity Estimation of the Piles for the Abutment for the Proposed Bridge No. 3.01.18 on Bayyulu Oya- Udappuwa, January 2007. Capacity Estimation of Driven Piles for the Pipelines for the Proposed Water Supply Project at Kalutara for Engineering and Laboratory Services (Pvt.) Ltd., December 2007. Report on Pile Integrity Testing at PRDA-WP05, 2+175m Bridge at Kerawalapitiya for C L M Edwords Construction (Pvt.) Ltd., December 2006. Geotechnical Specialist, Environmental Impact Assessment for the Proposed 300MW Combined Cycle Power Plant at Kerawalapitiya, August to September 2006. Checking of the stability of the slope and the foundation for the proposed Telecommunication tower at Talawakele for IGTL Solution Lanka (Pvt.) Ltd, November 2006. Geotechnical Specialist , Pre-feasibility & Feasibility study on amendments to the selected road traces of the Alternative Highway between Colombo & Kandy and Outer Circular Highway to the City of Colombo . Geotechnical Specialist , Supplementary Environmental Impact Assessment, Southern Expressway Project. Geotechnical Consultant , Sierra Construction Ltd on Dynamic Load Testing of Piles using Pile Dynamic Analyzer (PDA). Geotechnical Consultant , Sierra Construction Ltd on Integrity testing of piles using Pile Integrity Test (PIT). Geotechnical Consultant, National Building Research Organization (NBRO) for the design of foundation and stability analysis of slopes of the Asgiriya ground reservoir site, Kandy water supply project. Consultant , Interface Inc., Florida , USA on development of a computer software for scheduling classrooms and course modules for study programs. Geotechnical Consultant , Ministry of Health on investigation and proposal of corrective measures for the constructed sub-standard pile foundation for the National Institute of Nephrology Building, Maligawatta. Preparation of report on proposal to improve soil laboratory testing facility at the State Development and Construction Corporation (SD&CC) Rathmalana laboratory. Geotechnical Consultant , Tank Farm Project Muthurajawella, Ceylon Petroleum Corporation. Activities involved checking of pile foundation design, Integrity testing of Pipe sinking piles, Analysis of pore pressure measured during pile installation. Investigation of settlement of a house within Pallegoda Estate, Kotapola Plantation Ltd. Laboratory testing of soil samples from the Colombo Katunayake Expressway and classification of soil based on Unified soil classification system (2002). Consultant , Interface Inc., Florida , USA on development of a software package for scheduling of trips for courier services using Geographical Information Systems (GIS ). Geotechnical Consultant , LoadStar Co., on recommendation of foundation for heavy loading crane. Activities involved carrying out site investigations, Test data interpritation, analysis and suggest recommendations. Geotechnical Consultant , Investigation of settlement of the Wire storage warehouse, Kelany Cables Ltd, Kelaniy , Sri Lanka . Geotechnical Consultant , Extension to Kelanithissa power station project. Activities involve carrying out insitu testing of the soft soils. Investigation of Effect of pile jetting on surrounding soils, University of South Florida , Tampa , Florida , USA . Gray Mullins, Manjeriker Gunaratne, Pamela Stinnett and Saman Thilakasiri, “Prediction of Dynamic Compaction Founder Penetration", Soils and Foundations, Vol. 40 No 05, 2000. 1. Thilakasiri, H. S., Peiris, T. A., and Tennakoon, B. L., “Prediction of Settlement of Foundations on Soft Soils- A case Study", Proceedings of symposium, Research for industry - 1999 , University of Moratuwa, December, 1999, pp F189-F202. Wijesekara, G. N., Thilakasiri, H. S., Wickramasinghe, A. M., Wickramanayake, A. N., “Application of GIS in 3G modelling", Proceedings of 8 th symposium, Research for industry - 2002 , University of Moratuwa, August, 2002, pp F189-F202. Thilakasir, H. S., “Investigation of empirical correlations for Compression index for Sri Lankan Organic and Inorganic Soft Soil" , Annual Sessions in SLAAS , University of Peradeniya , November 2000. Thilakasir, H. S., and Jayamanne, J., “Prediction of ultimate one dimensional settlement of Peaty Soil" , Annual Sessions in SLAAS, University of Peradeniya , November 2000. Tennakoon, B. L., Puswewala, U. G. A., and Thilakasir, H. S., “Settlements of wide foundations in laterite formations" , Annual Sessions in SLAAS, University of Moratuwa , November 2001. Thilakasiri, H. S., Abeyasinghe, R. K., and Tennakoon, B. L., “Study of capacity gain of driven piles", Proceedings of the symposium on Research for industry - 2003, University of Moratuwa, Sri Lanka. Thilakasiri, H. S., Abeyasinghe, R. K., and Tennakoon, B. L., “A study of ultimate carrying capacity estimation of driven piles using pile driving equations and the wave equation method", Proceedings of Annual sessions of Institution of Engineers- 2003 , Sri Lanka. Thilakasiri, H. S., “A Review of the Design Practices of Bored and Cast In-situ Piles in Sri Lanka ", Proceedings of Annual sessions of Institution of Engineers- 2006 , Sri Lanka . Thilakasiri, H. S., Abeyasinghe, R. K., and Tennakoon, B. L., “Dynamic Testing of End Bearing Bored Piles in Sri Lanka", Proceedings of Annual sessions of Institution of Engineers- 2006 , Sri Lanka. Thilakasiri, H. S., “Interpretation of Pile Integrity Test (PIT) Results", Proceedings of Annual sessions of Institution of Engineers- 2006 , Sri Lanka . Thilakasiri, H. S, “Investigation of the Dynamic Soil Properties Required for Interpretation of Dynamic Load Test Results", Proceedings of the symposium on Research for industry - 2006, University of Moratuwa , Sri Lanka . Thilakasiri, H. S., “Development of Negative Skin Friction on Piles Installed through Soft Compressible Soils", Proceedings of the symposium on Research for industry - 2006, University of Moratuwa , Sri Lanka . Thilakasiri, H. S., “Analysis of the load- settlement curves obtained from static load testing of bored and cast in-situ concrete piles in sri lanka ", paper under review for the International Conference on Soil and Rock Engineering , August 2007, Colombo , Sri Lanka . Thilakasiri, H. S., “Use of geographical information systems (GIS) in construction quality controlling of pile foundations", paper under review for the International Conference on Soil and Rock Engineering , August 2007, Colombo, Sri Lanka. Thilakasiri, H. S. and Silve, W. H., “Interpretation of the End Bearing Condition of Bored and Cast In-situ Concrete Piles using Static Pile Load Test Results" accepted for publication in the Proceedings of the Asian Regional Conference of Soil Mechanics and Geotechnical Engineering , December 2007, Kolkata. Thilakasiri, H. S., “Quality Control Measures During Construction of Bored and Cast In-Situ Concrete Piles and Post Construction Testing", ICTAD Quality Journal, Vol III, November 2005, pp 20-30. Thilakasiri, H. S., “Evaluation of the Design and Construction Practices of Pile Foundation in Sri Lanka ", ICTAD Quality Journal, Vol IV, November 2006. Thilakasiri, H. S., “Improvement of organic soil by dynamic replacement", Proccedings of Conference on ground improvement techniques, Organised by Sri Lankan Geotechnical Society, May 2002. Thilakasiri, H. S, “Dynamic Testing of Piles", Proceeding of the Seminar of piling techniques, Organized by the Society of Structural Engineers (SSE), Colombo, August 2005. Thilakasiri, H. S., “Development of Negative Skin Friction on Piles Installed through Soft Compressible Soils", Proceedings of Conference on Geotechnical Engineering under Difficult Ground Conditions, Organized by Sri Lankan Geotechnical Society, August 2006. Analytical Simulation of Dynamic Replacement of Florida Organic Soils , Ph.D. Thesis, Department of Civil and Environmental engineering, University of South florida, Tampa, Florida, USA, 1997.